With outstanding scenery, wonderful snow conditions and amazing hospitality, Mont-Sainte-Anne in Canada is a fantastic option for those looking for a peaceful resort where they can work on their ski skills and get away from it all. Situated in the picturesque mountains of Quebec in Canada, visitors to this stunning resort are fortunate enough to be in one of the most unspoiled areas of the world. As part of the Laurentian mountain chain, tourists can look forward to amazing sights, ideal weather and a wide variety of ski runs. The ski holiday season at Mont-Sainte-Anne runs from December to April and there is significant snowfall, guaranteeing great coverage for skiers. There is more than 2,000 feet of skiable terrain at the resort and it has the highest vertical slope for night skiing in the whole of Canada. The west side of the resort is a tailored back-country skiing zone featuring a forestry environment and some great runs for young learners, while the north and south sides present a nice variety of intermediate and novice skiers. The Black Forest is full of expert terrain, along with a 20-acre glade and a run designed for newcomers. In total, there are 63 runs and 13 lifts at Mont-Sainte-Anne, providing an excellent variety of options for skiers of all abilities. 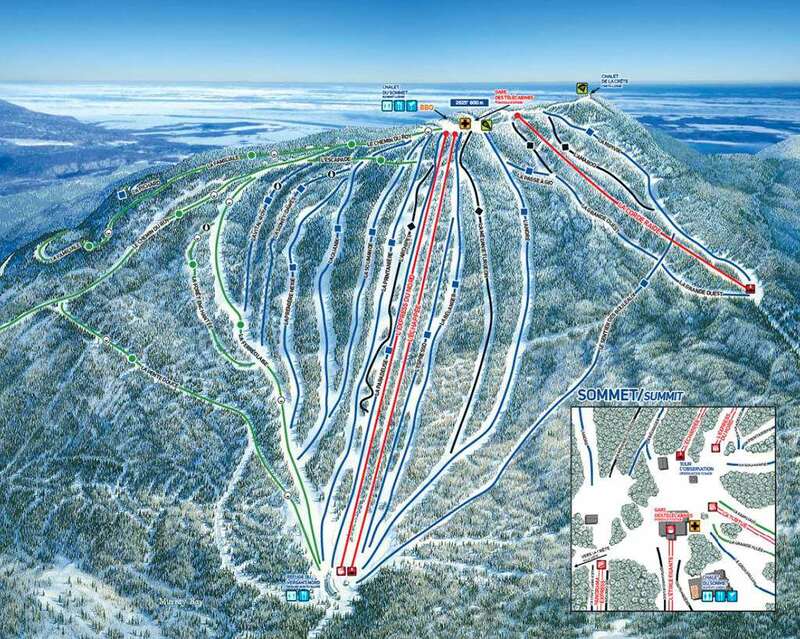 Mont Sainte Anne is packed with excellent restaurants, ranging from fast food to high-end dining and European dishes. If you’re looking for a particularly lavish dining experience, try the Le Bistro Restaurant at Chateau Mont-Sainte-Anne, where visitors can enjoy some incredible Canadian food. 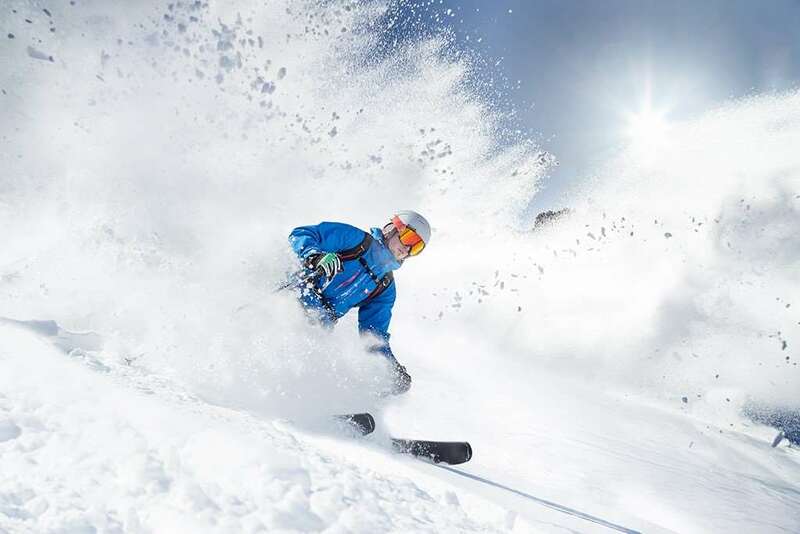 If you want to pick up some bargains, there are plenty of great shops in the resort too, including products from Peak, Oakley, Salomon and a range of other top winter sports brands. The closest airport to Mont-Sainte-Anne is Airport Quebec, which is around 41 miles away and will take around 51 minutes.